PCIe performance at an affordable price! 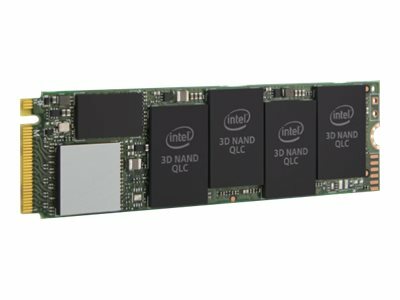 Empowered by Intel’s innovative Intel QLC Technology, the 2TB 660p Series PCIe 3.0 x4 3D2 QLC M.2 80mm Internal Solid State Drive comes with PCIe connectivity, skipping SATA and its limitations. This client solid state drive packs more data than TLC-based storage, allowing up to two times more capacity in identical footprints. The thin M.2 80mm form factor makes it perfect for notebooks, desktops, and mobile devices that need storage for everyday computing. The 660p Series also hits the marks that matter for client solid state drives. This drive is tuned to deliver a capacity optimized NVMe performance and delivers an intelligent storage option for mainstream and entry-level computing.